Yay or Nay? Are you going to try this trend? Molto bello, un make up che adoro! I like the look but not sure how I'd apply the lipstick to get this effect... I will follow your instructions and see what result I get. Io non esco mai fi casa senza avere truccato le labbra , quindi mi sa che sono come te Lilly. Sembra così easy, quasi naturale... mi piace! Looks good Lilli, especially if we do not want to use too much red on our lips. This way, gives it a more natural effect. Not too made up. I have tried this but I can't pull it off. On me it looks like I'm lazy to reapply my lipstick and just messy. LOL! 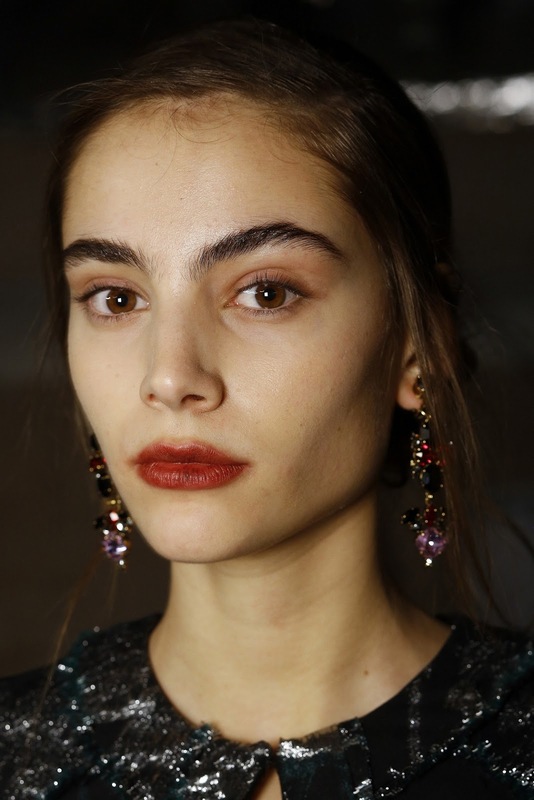 Bellissimo questo rossetto, il make up questo autunno inverno sarà super colorato. Well, first I would like to see how it looks before going outside, remember me when you eat spagguetti and leaves lips stained with sauce! It seems that is not complicated to achieve the effect. Kisses.